A key tenet of Agile is collaboration between teams, stressing the need for efficient communication and short turn-around times. A significant change from traditional Waterfall management methods where content creators typically came at the end of the development process to document things after the fact, Agile instead embeds writers in the development process as it is happening. Seeking the most efficient way to keep in step with product development staff, many content creators working in an Agile environment have discovered that structured content is the best tool at their disposal for meeting the ever-evolving goals of a developing project. Specifications such as DITA XML have greatly aided Agile documentation teams become more nimble in the process. Keith Schengili-Roberts will provide case studies demonstrating how structured content has become the foundation for efficient communication within Agile environments worldwide. This presentation aims to look at the differences between traditional Waterfall management methods and contrast them to the many “flavors” of Agile and their implementation within documentation teams. 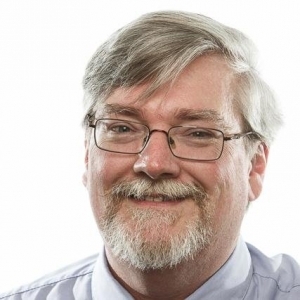 Keith will then examine how structured content standards—such as DITA XML—are being used by content creators in Agile product development scenarios, focusing on the advantages topic-based authoring provides to people working within an Agile environment. Keith is a DITA Information Architect at IXIASOFT, DITA evangelist and technical writing nerd. Keith is also an award-winning lecturer on Information Architecture at the University of Toronto and Durham College. He is also an active member of the OASIS DITA Adoption and Technical Committees. He can often be found presenting at conferences, working with customers, and researching how DITA is being used and sharing those results with the DITA community. Keith’s popular industry blog DITAWriter.com has become a focal point on DITA resources and best practices. Connect with Keith on Twitter @KeithIXIASOFT.